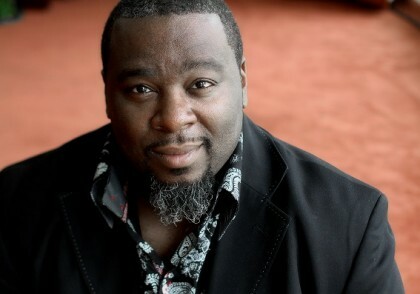 Best known as the Organist’s organist, Master Instructor Paul Laurence Morgan, affectionately known as “PJ Morgan” was born in the Washington D.C. area in 1970. He grew up in a musical family, getting his exposure to the Hammond organ in a small Pentecostal church where his family served. After years of playing and performing in church, his big break into the music industry came when he was asked to fill in for a keyboardist who was unable to play for a Ben Tankard concert. He accepted and excelled in the opportunity given. Impressed with PJ’s creativity and productivity both on and off the instrument, Tankard moved PJ to Nashville to be his Music Director, and to assist in building his record company. Ever since then, PJ has been on a blazing trail, playing for just about everyone in the Gospel and secular genres, earning well deserved accolades as a performer, producer, and teacher. PJ is the band director at Reid Temple AME, one of the largest mega churches in the United States with 20,000+ members and 2 locations in the Washington Metropolitan area. He is the most recent addition to the Ray Chew Orchestra. PJ will be graduating from Bowie State University in the Fall of 2014 with a Bachelor of Arts degree in Music Technology, and a minor in Classical Piano performance. Look out for a few solo organ CDs from this trailblazer in the near future.